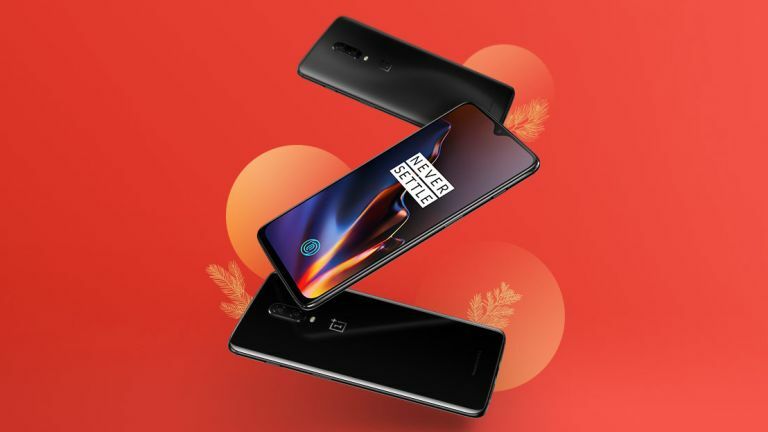 OnePlus is hard at work on its next-generation smartphone, the OnePlus 7, ahead of its rumoured launch sometime between May and July 2019. The handset – which will not include compatibility with 5G network speeds – looks set to sport an all-new industrial design that ditches the notched display that characterised the OnePlus 6 and OnePlus 6T launched in 2018. A leaked photo shared on Slash Leaks claiming to unmask the forthcoming flagship phone reveals a truly edge-to-edge display on the front of the OnePlus 7. Given that OnePlus reduced the size of the notch at the top of the display, which is used to house the front-facing camera, speaker grill and sensors, between the OnePlus 6 and 6T last year, it makes sense that the Shenzhen-based company wants to eliminate it permanently with the next iteration of the handset. Given the lack of notch and the pencil-thin bezels around the display, it's unclear exactly where the selfie camera, speaker, proximity and ambient light sensor will be housed. Unless OnePlus has managed to find a way to embed the front-facing camera and the forward-facing sensors beneath the glass display, the only other option is that OnePlus 7 will have a sliding mechanism, like the Xiaomi Mi Mix 3. This would relocate the front-facing camera and LED flash, sensors, and speakers into a physical drawer behind the display that is revealed when the smartphone owner pulls down on the screen. This industrial design allows the display to bleed to the very edge of the chassis, enabling OnePlus to squeeze more usable screen real estate into a handset that remains small enough to use one-handed. OnePlus has already confirmed plans to use the flagship Qualcomm Snapdragon 855 processor in its next handset, which should guarantee plenty of grunt under the bonnet without too much of a hit on battery life. The next-generation silicon also includes some upgrades to real-time photo-editing from the viewfinder. If OnePlus continues the trend it has established with previous handsets, we can expect to see a healthy chunk of RAM inside the OnePlus 7, likely topping the 10GB of RAM used in the OnePlus 6T McLaren Edition. 5G connectivity is likely going to be reserved for an entirely separate version of the OnePlus 7, the start-up has previously confirmed. This is because of a costs of implementing an emerging technology, which could see the cost of a 5G-touting OnePlus handset set you back as much as £1,000.